Peter Drucker once explained what separated him from those enamored with the discipline of economics. At root, he said, they “were interested in the behavior of commodities while I was interested in the behavior of people.” And as Drucker and many others have pointed out, people don’t behave as economic models tend to predict they will. They’re far less rational than that, and this makes economics a decidedly imperfect prism through which to view the world. Yet, in more recent years, a new field has arisen to understand people’s “predictably irrational” responses: behavioral economics. Executives have started to use its insights to shape strategy and tactics, as evidenced by the work of an investment firm, a nonprofit university and a public pension agency. In 1934, when he was a 25-year-old analyst working at a London merchant bank, Peter Drucker attended a seminar in Cambridge with John Maynard Keynes. It was there that he had an epiphany—one that led him away from studying economic theory in a traditional manner. As Drucker and many others have noticed, people don’t reliably behave as economists predict. They’re far less rational than that, and this makes economics a decidedly imperfect prism through which to view the world. Drucker gave Keynes credit for recognizing that “animal spirits” influenced the marketplace as much as rational calculation did, but he rejected the Keynesian idea that set policies offered a trustworthy antidote to economic downturns. Keynes’s formulas were “spells” devoted to a magical idea that the “admittedly irrational can be controlled and directed by mechanical means.” The very idea was contradictory. But perhaps it wasn’t so contradictory after all. People are indeed prone to sub-optimal and illogical choices, but perhaps there’s a pattern to it. Perhaps they’re “predictably irrational,” to use the phrase that became popular when psychologist and economist Dan Ariely made it the title of a 2008 bestseller about how our decisions are shaped by forces we can’t easily see. 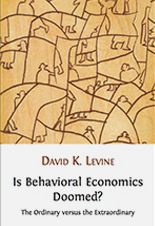 It is the quest to understand such predictably irrational responses—to discern how people react to economic choices in practice rather than in theory—that undergirds the field now known as behavioral economics. Thirty years ago, behavioral economics was a fringe area of study that had yet to be given a name. Today, it is approaching the status of a household term.  It has led to bestselling books, including Nudge (2008) by Richard Thaler and Cass Sunstein and Thinking, Fast and Slow (2011) by Nobel Laureate Daniel Kahneman (who is featured in “Frame Work,” below). Businesses use it to seduce customers into more purchases. Nonprofits use it to increase donations. Governments have launched “nudge units” to apply its findings to public policy. What follows are the stories of three organizations—an investment firm, a nonprofit university and a public pension agency—in which executives employed behavioral economics and got especially good results. In the late 1980s, Russell Fuller was a respected but restless professor of finance at Washington State University. He’d taken a recent sabbatical, but he wanted another. So he pulled out a yellow pad and began to prepare a letter to the provost about how he would use his time. What he proposed was a project to familiarize himself with some compelling new research into a fresh field: behavioral economics. “I could cite two papers, sum total,” he recalls. 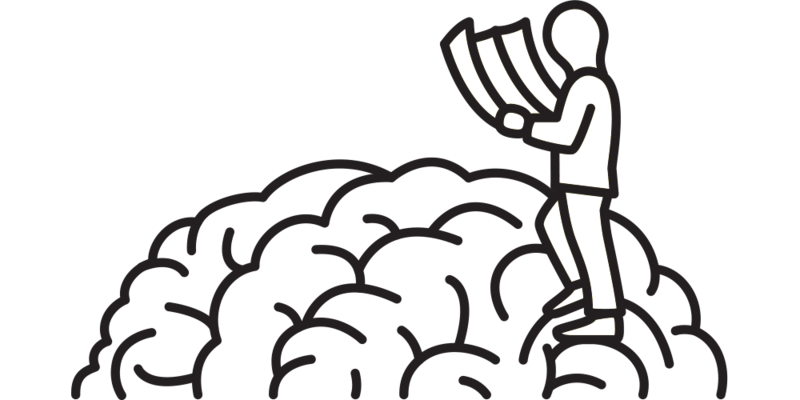 The Drucker Institute’s Phalana Tiller visits with Nobel Prize-winning psychologist Daniel Kahneman to learn three basic lessons from behavioral economics that all organizations can apply. In 1997, economist Richard Thaler (seen here) teamed up with Russell Fuller to form their own investment firm and use insights from behavioral economics to pick stocks. They’ve consistently outpaced the market. At the same time, an investment firm called Concord Capital was looking for a chief researcher. Concord had been founded in 1985 with the aim of becoming the first in the industry to systematically employ the insights of behavioral finance. 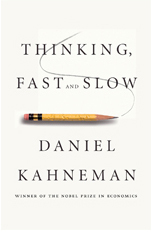 Its basic premise was that investors were often irrational and misled by biases, driven by the heuristics of “fast thinking,” as Daniel Kahneman calls it, and prone to overlook the conclusions that would result from “slow thinking.” One of its outside consultants was a pioneer of behavioral finance, Richard Thaler, a Cornell professor who was the co-author of one of the two papers that Fuller had found. After a couple of years of this, Thaler recommended that Concord Capital bring on an academic as a professional researcher. The firm placed advertisements in scholarly journals, an unusual outlet for this sort of listing, and one them wound up catching the eye of Fuller, who applied for the job. During his time at Concord, Fuller became fully immersed in behavioral finance and helped take the firm in the direction in which it had originally planned to go, at least until it closed up shop in the early 1990s. After that, Fuller struck out on his own, founding a company called RJF (his initials) that would offer genuinely behavioral-economics-based products. One offering played on the phenomenon of market under-reaction to increased earnings, which often happens when over-confident analysts become anchored to their estimates and are loath to accept that they might be wrong. A second product built on the human tendency to assume that yesterday’s results will be tomorrow’s—to project past performance into the future. A good indication that this is going on is that insiders are buying up the stock. While RJF was offering decent returns to investors, growth in the early years was slow, and Fuller did not have a lot of money with which to hire. But Thaler, with whom he’d become friendly, agreed to keep offering occasional advice in exchange for an annual case of good wine. Since then, Fuller & Thaler has expanded, growing into a 19-person investment firm that manages more than $8 billion for institutions and mutual funds. Since the firm aims to be slightly smarter than the stock market but not wildly contrarian, the general peaks and valleys among equities are likewise reflected in its returns. But the superiority of its performance to that of benchmarks, like the Russell 2000, has been consistent. Russ is from Nebraska. Abstraction doesn’t go far in Nebraska. One key to Fuller & Thaler’s success, apart from an unusually high concentration of intelligence, is that overarching theory is tempered with old-fashioned sanity checks and attention to the specifics of each case. For instance, while it’s a decent rule of thumb that lots of insider share purchases signal an undervalued stock, it always pays to look more closely. In one instance, says Fuller, a company president was buying up a huge number of shares without the stock budging. A couple of calls revealed the real reason: The man was facing a sexual harassment lawsuit and was trying to protect his job by gaining majority control. Even though behavioral economics has become more mainstream over time, the team at Fuller & Thaler says that imitators have yet to emerge as a major headache. That’s in large part because lots of people talk a good game about using behavioral economics in their investment strategies, but pulling it off is complex work. Not so many know how to do it. The University of Western Kentucky used behavioral economics—increasing the monetary incentive and then taking away the money if people didn’t meet the requirements—to boost employee participation in a wellness program. Smoking has declined as a result, and other health measures have also improved. Like many organizations, Western Kentucky University has found itself over the years trying to do the seemingly impossible: tame the ever-rising costs of medical care. Since 1999, WKU had been self-insured, with a plan covering about 4,000 people, including 2,500 employees. A few years ago, its healthcare reserve fund began dipping perilously low. Provisions of the Affordable Care Act were also coming into force, creating new compliance liabilities, including a 40% excise tax on individual plans worth more than $10,200. “We had some big challenges,” says Kari Aikins, who oversees the university’s benefit programs. So in 2013, the university hired Sibson Consulting, which recommended that WKU scrap its entire approach to healthcare and devise something new. This is where behavioral economics entered the picture. Sibson’s lead consultant on the project was Chris Goldsmith, whose own study of behavioral economics helped him to make sense of the curious choices he saw when it came to healthcare. One notable case had been that of a different university, which offered “Gold,” “Silver” and “Bronze” medical plans. Yet about 35% of the faculty and staff made the worst rational choice, evidently because the “Gold” label was enough to sway people’s decision making. At WKU, Goldsmith and university officials decided on a two-part strategy to control costs. The first was to do away with co-pays and other features that were contributing to unnecessary use of the plan, like an excessive number of doctor visits. Instead, the university would offer a high-deductible plan and partial funding for health savings accounts with which to cover medication and their first few physician visits. The goal was for enrollees to become more engaged shoppers, cutting down on frivolous trips to the doctor and the use of brand-name pharmaceuticals when generics were far cheaper. The second was to induce people to become healthier—by getting regular checkups; cutting out bad habits like smoking; and exercising and losing weight. Having their familiar co-pay structure taken away and being required to put up the first $2,000 out of pocket was bound to be disquieting to WKU employees. So Goldsmith worked hard to make things look less intimidating—and he turned to behavioral economics for guidance. Instead, Goldsmith recommended calling it a “healthy saver plan” to emphasize the attractive parts of the benefit. Many health plans also tend to lay out deductibles and other expenses first, orienting people toward the cost-sharing components of the coverage. Goldsmith recommended focusing first on the most agreeable elements of the plan: free preventive healthcare; tax-advantaged health savings accounts; and the university’s contributions toward benefits. “Sequencing is really important,” he says. Then there was the second part of the strategy. WKU already had an “employee wellness program,” which paid enrollees $180 at the end of the year if they fulfilled its requirements: to get a biometric screening and to attend courses for things like weight loss and smoking cessation. Only about a third of employees participated in it, however. So Goldsmith recommended sharply increasing the incentives for enrollment. Instead of $180, the payout would now be $500 deposited directly into each participant’s health savings account, provided he or she didn’t opt out. Also, the money would be paid up front, with the possibility of being revoked (in the form of increased premiums for the rest of the year) if people didn’t meet the requirements. This is because studies have found that the prospect of losing a sum activates people far more than the possibility of gaining it. “That fear of having to pay money back . . . is a huge motivator,” Goldsmith says. One could argue that what WKU did was a tad heavy-handed. 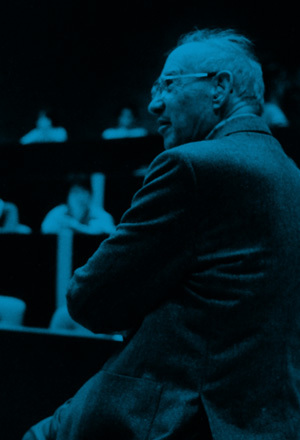 Drucker himself worried about the potential for organizations to engage in “psychological despotism”—the use of psychology to dominate or manipulate people. One check on excesses at WKU, however, was that any changes had to be approved by a large number of stakeholders, nearly all of whom were themselves going to be covered by the plan. And the numbers showed—and have continued to show—that the university was not trying to palm costs off onto its employees. “For me, one of the key arguments to support this and to defend it . . . was that this was cost-sharing-neutral,” says Claus Ernst, a mathematics professor who was on the employee benefits advisory committee. When the program rolled out in 2014, some at WKU were apprehensive, worried that their costs would rise. But fears abated once they proved to be manageable. Skeptics of the wellness program also cited concerns about privacy, but most signed up anyway. Since then, the growth in campus healthcare costs has slowed down. Aikins says that the university has saved more than $1 million a year on prescription drugs alone, simply by requiring people personally to feel the price difference between brand-name and generic pharmaceuticals. Meanwhile, Goldsmith had originally set a goal of increasing rates of enrollment in the wellness program from roughly 30% to 60%. Instead, they’ve shot up to 90%. More important, in the first year of the rollout, people got a little bit healthier, and the trends have continued, according to Wade Pinkard, WKU’s manager of employee wellness. Behavioral risk factors such as alcohol use and smoking have decreased on average, and biometric testing has likewise showed movement in the right direction year over year: Average blood pressure has declined by 8.9%, body mass index by 2.8%, glucose by 2%, triglycerides by 1.6% and cholesterol by 0.2%. One university employee, an alumni-relations staffer named Greg Keightley, even credits the wellness program with saving his life. Biometric screening revealed him to be suffering from hypertension, and additional tests showed that he needed a quadruple bypass. Sometimes, at least, a harder sell is the right one. Fifteen years ago, everyone agreed that Great Britain was headed for a major financial crunch. It had a growing population of pensioners and a projected shortage of money with which to support them—a common problem around the world. The government had planned for only minimal increases in spending on benefits, yet the number of pensioners over the next four decades was projected to increase by half. Private savings would have to make up for any shortfalls, but overall contributions to private pension plans were tens of billions of pounds short of what was needed to see people retire in comfort. One paper released by the government estimated that only one in six private employees could expect a “decent” pension in their old age. In 2002, the government established a pensions commission chaired by Merrill Lynch executive Adair Turner to examine the issue in depth. “There was cross-party agreement there was a problem,” Turner says. In the meantime, the government continued to try new remedies. The Department of Work and Pensions, which oversees most policies related to retirement in the United Kingdom, launched publicity campaigns in 2003 to encourage workers to save more. These relied on what was called an “Informed Choice” strategy that presented workers with copious information on how best to get started with saving. “It was old-school, rational-choice economics,” says Will Sandbrook, who at the time was a policy advisor at the DWP. But the pilot failed, stalling out by 2005. It “had absolutely no impact on even slowing the decline in savings, let alone turning around, and it became an intellectual watershed within the U.K government,” Sandbrook says. The following year, Turner’s commission released a number of proposals to tackle the problem anew. Among them: the creation of a “national pension savings scheme” into which employees would pay 4% of their salary and employers would be required to pay in 3%. Even more significant was the suggestion that the government make use of automatic—but optional—enrollment, an approach that had been gaining favor in organizations across the United States. No one had ever tried a nudge on such a large scale, nor had the term “nudge” yet been popularized. But James Purnell, a high-ranking Labour Party official who worked on the issue, says that the government took the plunge because of a robust body of literature on the subject. The man brought in to create and lead the Personal Accounts Delivery Authority, which was later renamed NEST (for National Employment Savings Trust), was a veteran of the financial sector named Tim Jones. Starting in 2007 with a staff of a few dozen people drawn from DWP, Jones began the task of building up an entity capable of creating pension accounts and accepting contributions from millions of people and their employers. After years of work and many difficult decisions, NEST finally went live in 2012. Now, some of the most pressing questions were about to be answered: Would the expensive and elaborate software set up to enroll hundreds of new employers and their workers each day function as it should? Would employers choose NEST over private plans? Would opt-out rates be low—ideally below 30%? The answers, after several uneasy months and a slow start that caused some inevitable “Empty NEST” headlines, turned out to be yes, yes and yes. The software worked, allowing the system to take on more clients in a day than many established funds take on in a year. Hundreds of thousands of employers have selected NEST as their pension scheme. Most important, among employees, opt-out rates turned out to be under 10%. “In four years we’ve reversed the trends of four decades,” says Sandbrook, who left DWP to help establish NEST, where he is now executive director of strategy. In the years since NEST went live, behavioral economics has continued to play a central role in its efforts. One example, notes Sandbrook, is that younger savers are now being placed into lower-risk plans than before. While the conventional wisdom is that young investors are better able to weather the volatility of markets and profit from taking more risk, in practice many, if not most, take losses hard and can get discouraged from saving altogether. This is in keeping with findings about “loss aversion,” which show that losing $5 hurts a lot more than failing to win it. Assess where in your organization people—whether customers or employees—may not be behaving as you expected, and engage your team in a discussion of why this might be the case. Are they being “rational” in a way that you didn’t expect, or are they being “irrational”? Invite your team to do a group reading of one of the classics in behavioral economics—Dan Ariely’s Predictably Irrational, say, or Nudge by Cass Sunstein and Richard Thaler. Then see if you can apply any of its insights to a problem that your organization is facing. Don’t forget that as you look to apply some of the concepts of behavioral economics, a test-and-learn approach based on field experimentation is considered the best way to move forward. This is the overview you want to tell people you’ve read. It’s a rigorous, thorough and clear account of how we got from the early days of David Ricardo to the 20-century axioms of John von Neumann and Oskar Morgenstern about rational behavior to the present-day focus on theories based on behaviors and subject to empirical validation. This account is less painstaking than that of Heukelom and less thorough—since it’s a personal history—but that also means it’s more fun to read. 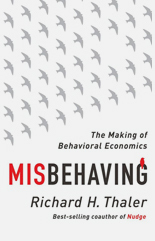 As one of the fathers of the field of behavioral economics, Thaler tells a lively and illuminating story of his intellectual journey and his battles along the way. This best-seller explains the research of the Nobel Prize-winning author and his colleague Amos Tversky, and how it illuminated the way human beings think, particularly when it comes to our vulnerabilities to bias. We are often in a “fast” mode of thought that relies heavily on intuition, but we’re also capable of a “slow” mode of thought that proceeds more logically and carefully. Nobody who reads this book is likely to see human judgment the same afterward. Rational choice theory, meet reality. Most of us are given not only to mistaken and irrational ways of thinking but also to systematically mistaken and irrational ways of thinking. 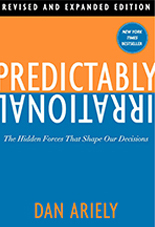 We are, as the title notes, “predictably irrational.” Using scores of entertaining examples and covering a wide range of subjects (self-control, decision-making, supply and demand), the author shows us the sorts of fallacies into which we reliably stumble and suggests how we might try to avoid some of them.